China Mobile stock’s worth today stands at $48.96 per share having declined by 0.95% since the market closed on the previous day. China Mobile is listed both on the New York Stock Exchange as well as on the Hong Kong stock market. The company is headquartered and operates from within Hong Kong; however it is somewhat of formidable force around the globe. 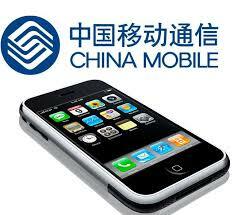 Recently China Mobile stock’s worth had dipped following its unsuccessful negotiations with Apple. Though, China Mobile did come to an agreement with the Silicon Valley powerhouse resulting in the China Mobile being the sole provider of IPhones in Hong Kong. The factor they failed to keep in consideration as all of this was going on was that the IPhone as a product itself now faces stiff competition most notably from the Samsung Galaxy phones, Google Nexus phones, HTC’s phones as well as Nokia LUMIA windows phone. Therefore the five year long negotiations with Apple did not help benefit China Mobile’s stock especially in the short-run. China Mobile is a corporation of a very expansionary nature and their stock is always the beneficiary as a result of this. They have expanded their production portfolio since 2007. They have developed on the manufacturing side of the business as first they only started out as a telecommunication provide and now in 2014 they plan on making the biggest 3G and 4G database that the world has ever seen in Hong Kong. It isn’t that this company doesn’t produce; the corporation always has something up its sleeve, however, only when the time is right. This is the time where they have seized the moment especially in terms of rectification of their previous errors and mistakes. In recent news, China Mobile has increased the volume of their stock in the Hong Kong market. China Mobile is now trying to rectify their previous errors made from decisions that they did not think through. Over the past month, China Mobile has been somewhat successful in the rectification of their errors as their stock has increased by approximately $5 in a space of a month. Furthermore, China Mobile stock will once again be on the receiving end of a fruitful endeavor. The hierarchy at the company currently reports that this company will earn majestic amounts in terms of revenue as they report that the company will boost their sales in the next quarter. How they will do this is by boosting their content, their content being the one such as e-books, music and mobile games. The company believes this to be an innovative long term investment as they believe that there is stiff competition in the text message department in all of the telecom service providers. China Mobile stock would be the beneficiary over the fact that the company renews its text message portfolio as they plan on doing so as well by integrating content such as e-books, music and mobile games somehow within their text message area. China Mobile is one of the biggest corporations of the world and they don’t plan on leaving that throne anytime soon.